Microneedling is one of the most popular cosmetic treatments right now, and providers, patients, and celebrities love its ability to treat almost every skin concern. It also provides immediate and continuous results and can achieve that elusive glow for an event or transform skin over time. Best of all, microneedling produces these benefits without surgery or downtime and is safe for all skin types. 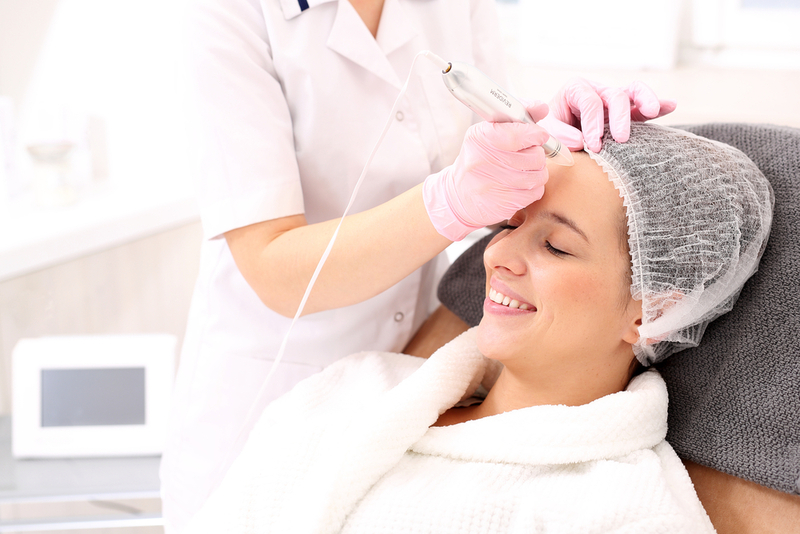 Keep reading to learn everything about microneedling and find out if it’s right for you. Microneedling is also known as collagen induction therapy or percutaneous collagen induction. It uses very small surgical-grade needles to create microscopic punctures in the skin’s surface. This controlled damage causes a wound-healing effect and the growth of new collagen and elastin. How Can Microneedling Benefit Skin and Hair? Patients looking for a safe, effective, and relatively painless way to achieve smooth, even, and radiant skin should try microneedling. It can also benefit women and men that want to correct cosmetic concerns without lasers, radiofrequency, or other devices that heat tissue. Additionally, microneedling improves acne scars, hyperpigmentation, enlarged pores, stretch marks, wrinkles and fine lines, skin laxity, and dull or rough complexion. It even stimulates dormant hair follicles and is an excellent non-surgical option for hair restoration in men and women. Does Microneedling Augment the Effects of Other Skincare Solutions? The treatment’s microscopic entry points provide increased absorption and effectiveness of skincare products including antioxidants, peptides, and other serums. Microneedling has also been used to deliver radiofrequency, platelet-rich plasma, drugs and other biologics deep into the skin for a synergistic effect. How Effective Is Microneedling at Boosting Collagen and Elastin? As we age, collagen and elastin levels decrease and cause volume depletion and sagging in the skin. However, four monthly sessions of microneedling can increase collagen production up to 400 percent after 6 months. For additional information about microneedling in 21740 and to find out if it’s right for you, please call our office today to schedule a consultation.